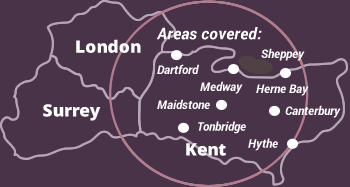 Based just outside Gravesend, we have specialised in providing homeowners from across South East London and North Kent with the very best in kitchen, home office, bathroom and bedroom design and fitting services for many years. Established in 2009, we have worked for a variety of domestic clients for over 5 years. Our builders and designers have a combined experience of over two decades, so whatever your home improvement requirements, put them in the hands of the expert and extensively experienced team here at Bespoke Bedrooms. Unlike other kitchen, bedroom, home office or bathroom designers and fitters, we won’t just give you a 30 minute slot to tell us briefly what you want. One of our friendly team will visit your home at your convenience and sit down with you to discuss exactly what you want. We will dedicate as much time as is necessary to fully understand your needs and ensure that you get the new room of your dreams. We will bring our large samples brochures with you so that you will be able to truly judge and decide which unit or set of furniture will most suit your home. If you need any advice and guidance, our friendly designer will provide this. Our designers and builders have been working in the industry for decades, helping homeowners from throughout the South East improve the look and feel of their homes; be it with a simple home office fitting or a comprehensive kitchen redevelopment and re-design. To make sure that our clients receive the new kitchen, bedroom, bathroom or home office of their dreams, we utilise the very latest in design software, including the provision of a 3D replica of their new room. We take customer service and satisfaction incredibly seriously and as such, our director, Neil Little, is a member of the Institute of Carpenters. Offering a personal service from start to finish, you are guaranteed an installation of the highest possible standard. If you would like any more information about our design, supply and fitting services, please do not hesitate to contact us today. 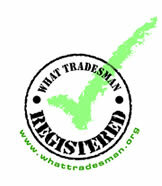 We take customer service and satisfaction incredibly seriously and as such, we are registered on the What Tradesman website. We recently completed projects for clients in Gravesend, Bexley, Welling, Sidcup, Sevenoaks, Beckenham, Tunbridge Wells, Orpington, Bexleyheath, Dulwich, Tonbridge, Dartford and Forest Hill..